Printing your artwork onto a clear transparency sheet is very important to create a clear StencilPro™ screen, as this ensures the U.V. passes through the artwork to create your design. Using white bond paper or other opaque papers will produce artwork that is a solid square, as the light can not penetrate the design area and provide the details, so a whole solid square is imaged. Always print in black and check your printer specifications before use to ensure it's suitable for use with transparencies, and where possible use the transparency printing setting. Do not use EZIscreen Transparencies in photocopiers. Use a dry soft cloth only. Do not clean transparency using water, solvents or any liquids as this will destroy ink coating. Store flat in a cool dry place away from light. 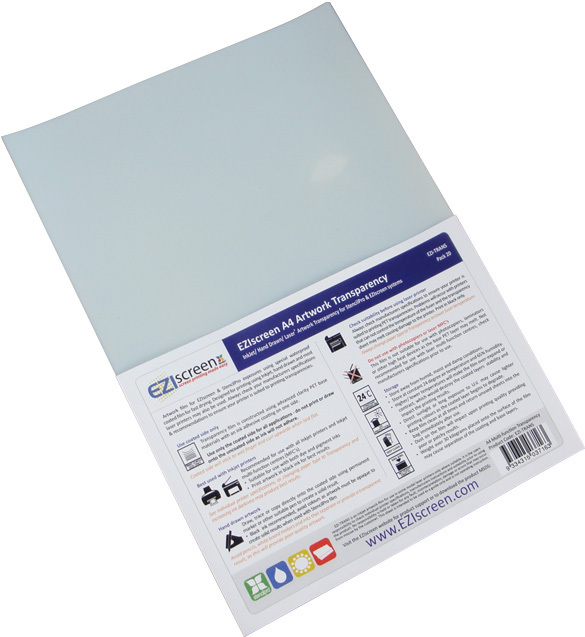 EZI-TRANS MSDS - click here . .
Transparency sheets are designed for printing in modern printers using Inkjet or laser toners. Always check your manufacturers specifications and recommendations to ensure your printer is suited to printing transparencies. Whist it will be extremely rare, most problems will occur with laser printers that can not control the temperature of the fuser and the transparency sheet may melt causing damage. How do I know which side to print? Do I print in black, grey or colours? Why should I change the setting of my printer to 'transparency'? Can I print using inkjet printers? Why are some laser printers not suitable? Can I keep and re-use my artwork after making a screen? Q: How do I know which side of the artwork film to print? A: Films have a coating on one side that absorbs the ink pigments, the other side is plain acetate. The coated side will generally curl upwards, however the fail proof way to know is by wetting your fingers and squeezing the corner of the film - your finger will stick to the coated size. Being in the corner this will not affect printing. Q: Should I print my artwork in black, grey scale or colour? A: A solid Black is best unless you require shading/ tones in which case you will need to print in grey scales. Avoid colours as they are not as opaque as solid black. Q: Why change the paper settings of the printer to 'transparency'? A: A solid opaque print is required, changing the paper type in your printer settings from 'plain paper' to 'transparency' will change how your printer puts the ink onto the artwork film, plus if a laser or MFC how the fuser temperature is adjusted. A quick test will show the 'transparency' setting will provide a more solid/ opaque print and should be used at all times. 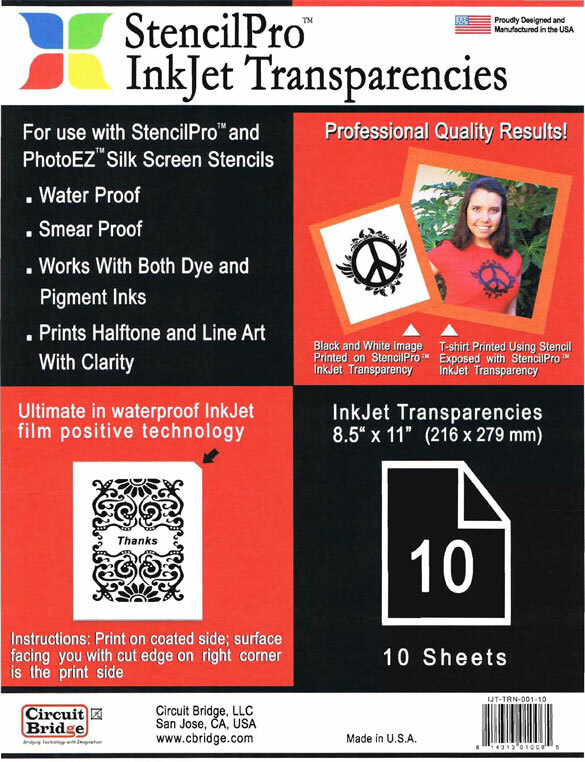 Q: Can I use an inkjet printer to create my artwork? A: Yes (except for EZI-TRNLAS), just ensure you use the coated side or the ink will not stick to the film and will smudge. Q: Can I use a photocopier to make my artwork? A: Yes you can, however not using any of our artwork films as they are not designed for photocopier use. Photocopiers require a high temperature acetate film, available from Officeworks and copier shops. 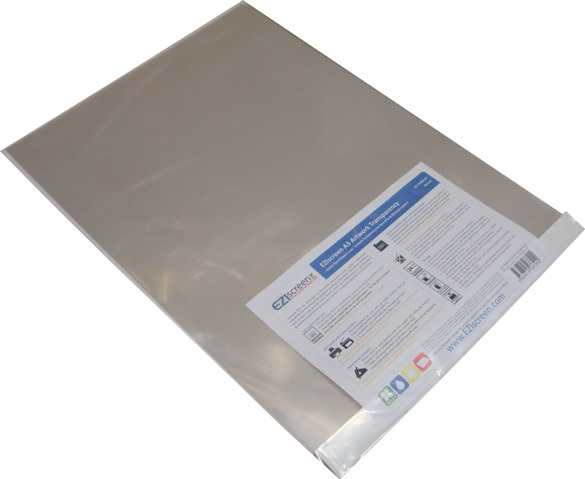 Using our films may damage the drum or fuser, melting inside the machine. Q: Why are some laser printers not suitable? A: The fuser in a laser printer may melt the artwork transparency unless the fuser temperature is adjusted (lowered) by changing the paper type from 'plain paper' to 'transparency'. 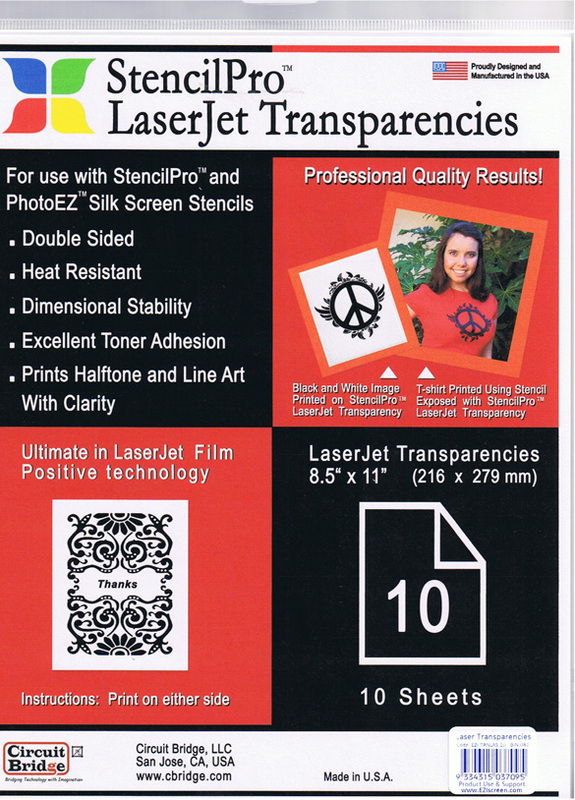 If a laser printer does not have the option to change paper type or adjust the inputs, then is should not be used with any type of artwork transparency film. Q: Can I keep and reuse my artwork after I have made a screen? A: Absolutely! as soon as you have finished your exposure, put the film aside and store it out of sun light. Keep dry, don't allow it to become wet when developing your film, and the artwork can be re-used again and again.